The fourth cohort, Kukui A‘a Kū I Ka ‘Āpa‘apa‘a interns conducted archaeological investigations in the ahupua‘a of Puanui, North Kohala, Hawai‘i. 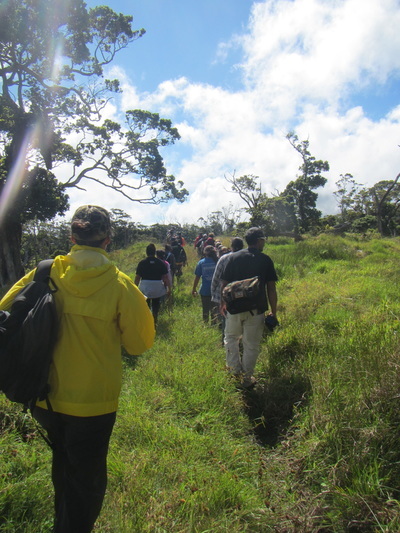 The Wahi Kupuna Internship Program partnered with Ulu Mau Puanui, a non profit organization whose mission it is to understand through research and education how the Kanaka Maoli sustained the massive rain fed agricultural system located on the leeward coast of Kohala. The interns spent three weeks conducting archaeological field work and two weeks completing research and writing at the University of Hawai‘i at Hilo. 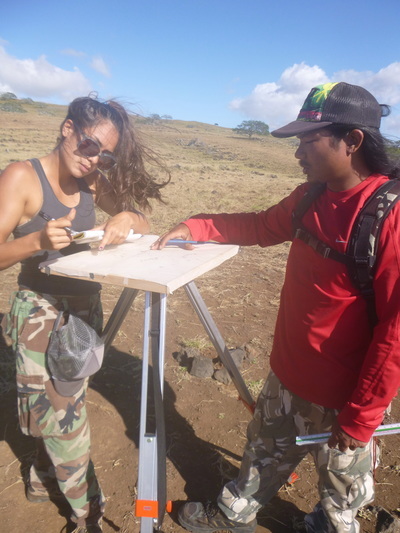 The interns were trained in archaeological field and research methods, in addition to being trained in Hawaiian protocols and cultural activities, huaka‘i wahi pana, sharpening their observation skills and meeting with knowledgable community members from Kohala. 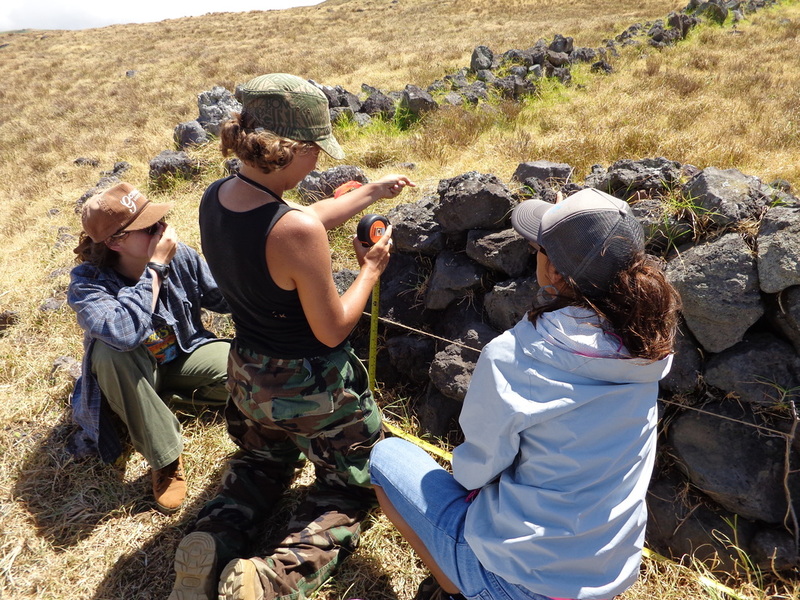 Their hard work culminated in a community presentation held in Waimea at the end of the program along with a presentation at the annual Society for Hawaiian Archaeology. 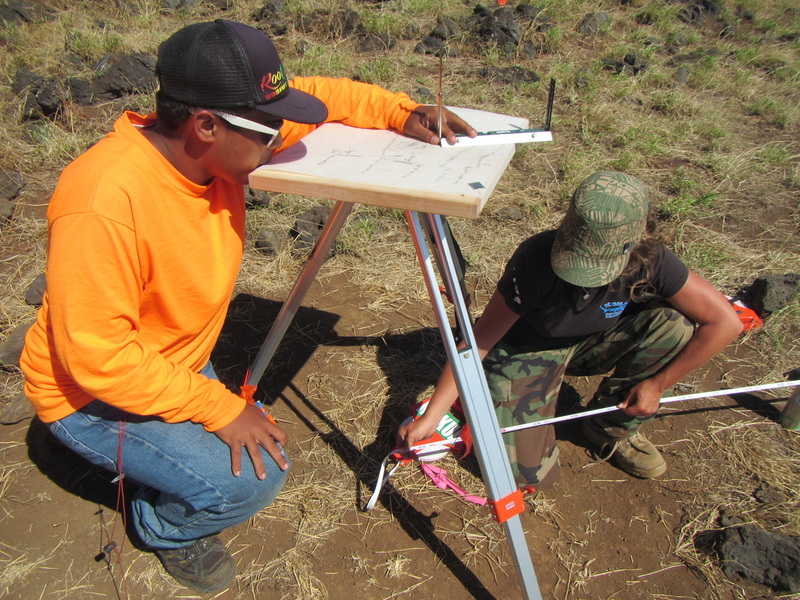 ​"I extremely enjoyed learning how to map areas using tape and compass; prior to this summer I didn’t know how to use a compass. I learned everything I expected to learn and more from this awesome program." 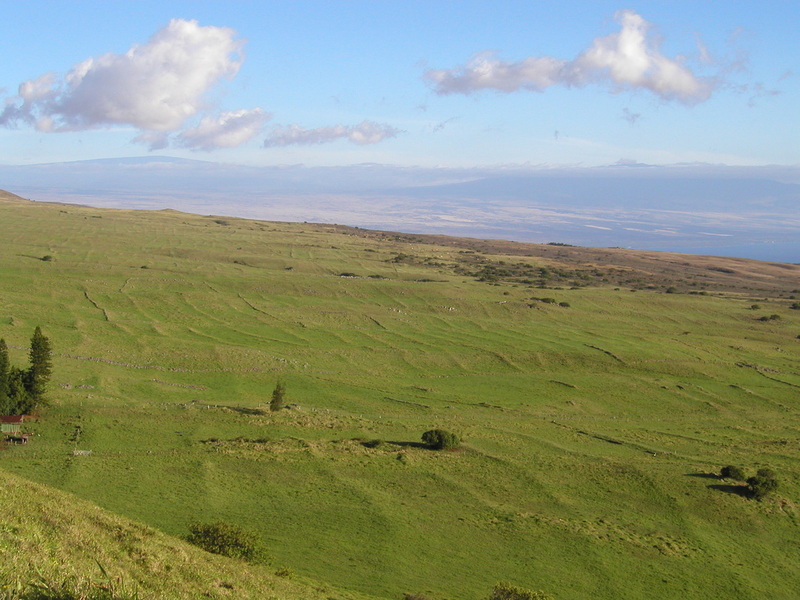 Walls from the Kohala field system remain on the landscape.